The perfect gift for your friends and family! 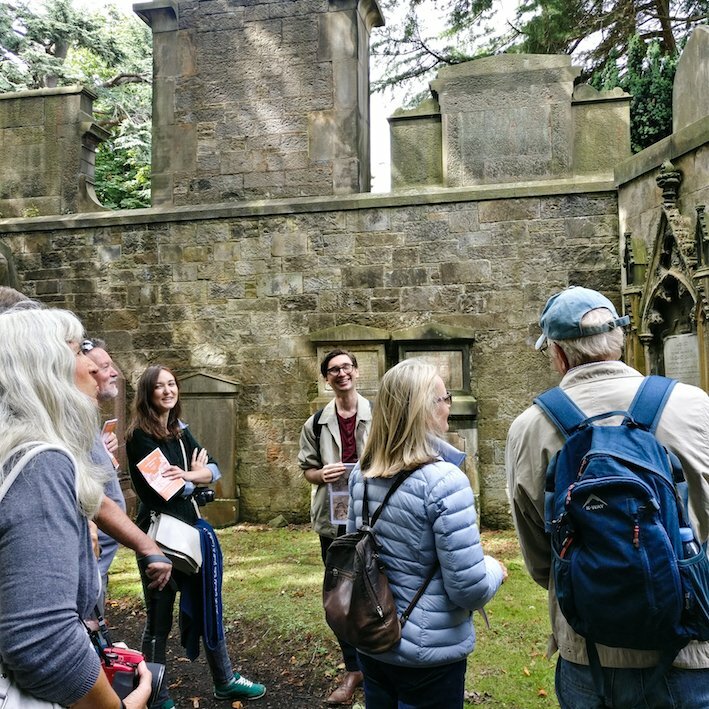 Surprise the urban explorers you know with the perfect tour for inquisitive minds. Whether they live in Edinburgh or are just visiting, this gift will leave them full of insights about Edinburgh’s architectural secrets.  The recipient will have a choice of Old Town, New Town or Dean Village walking tours. 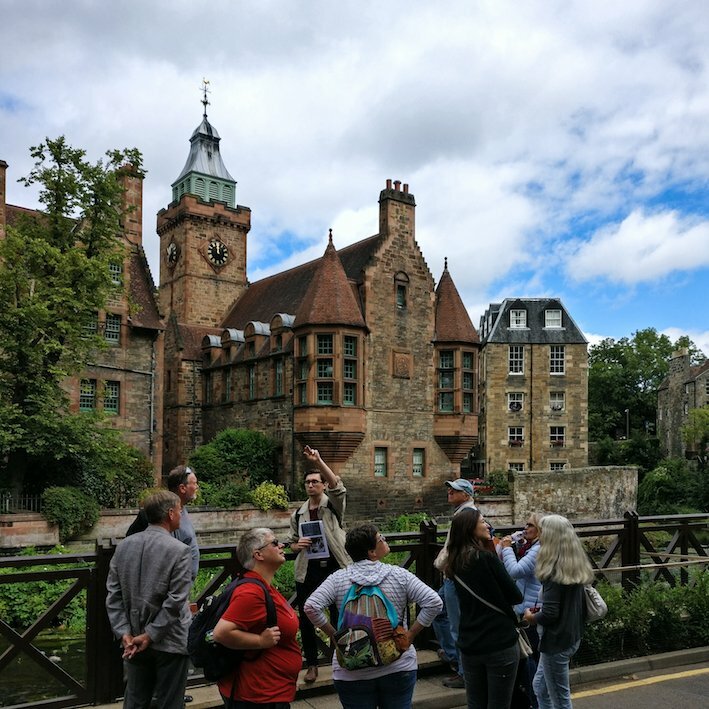 "I took the tour of Dean Village an area of the city I had never explored, and I was very pleased with the tour. Olga is very knowledgeable and the area was incredibly beautiful." "Rich in historical and architectural detail, felt much more reliable than some of the myth-heavy regular tourist guides. Lots of places that even us residents had been unaware of." 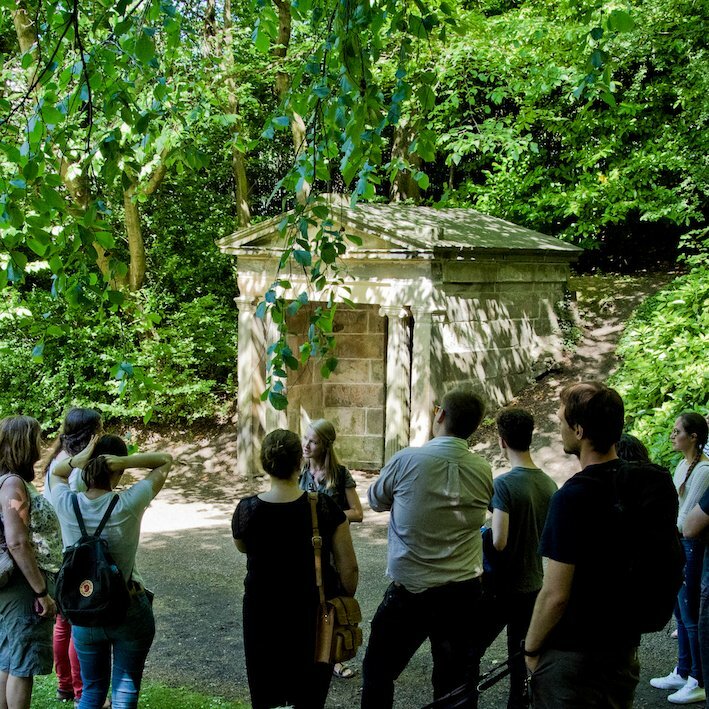 "A very informative and enjoyable tour! 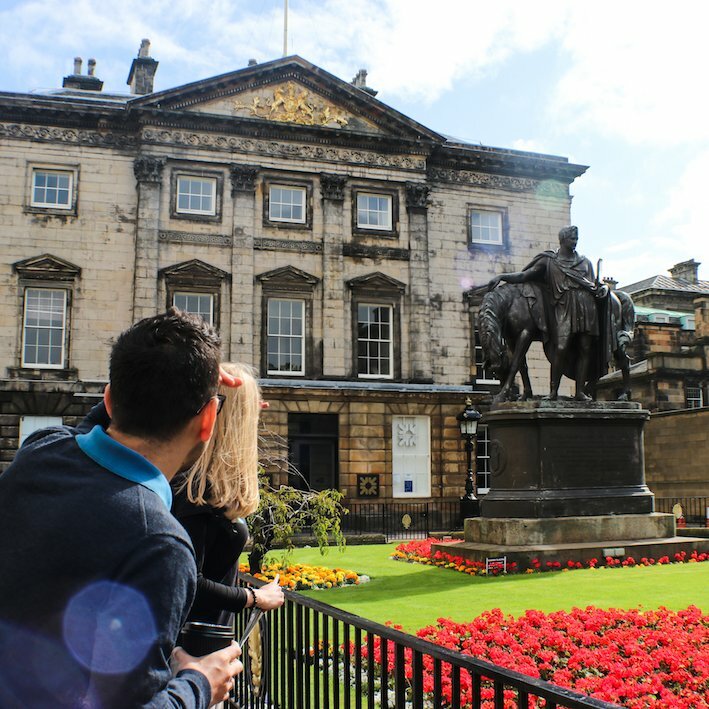 As residents we know Edinburgh well but we learned so many interesting facts. Loved the treasure hunt element of it as well!" 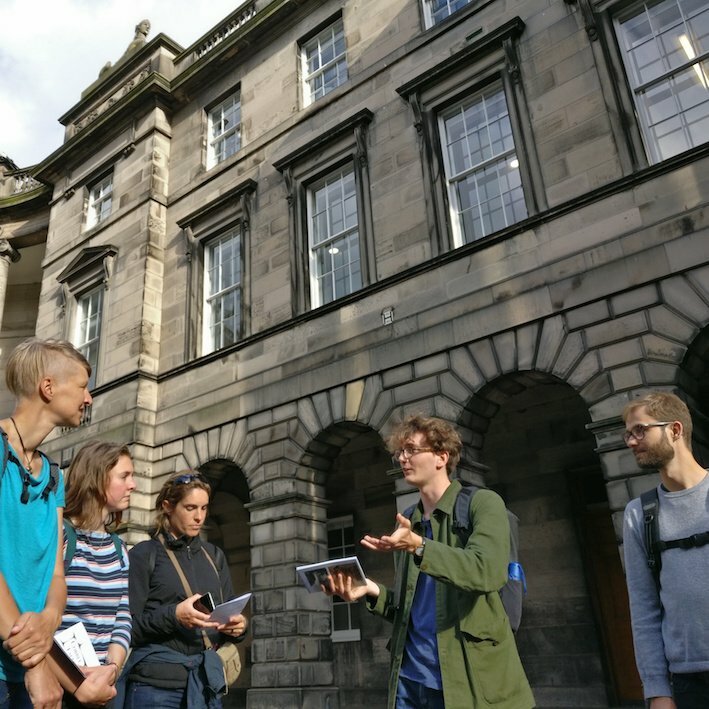 "This tour opened my eyes and made me look into Edinburgh very differently. 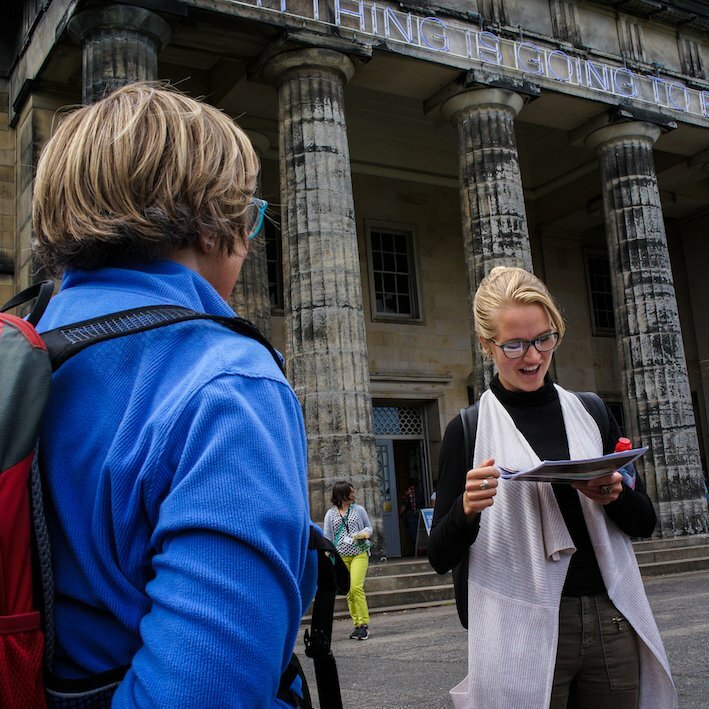 Tour guide Olga has revealed some of the fascinating history and hidden places." "We learnt of the older and more modern architecture of the city. 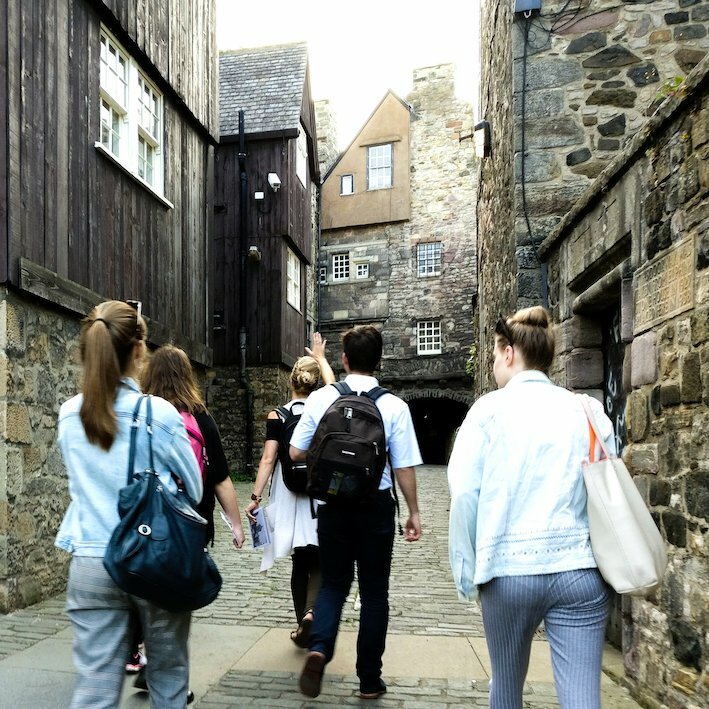 The tour dramatically improved our experience of Edinburgh. It was a pleasure to be guided by an architectural professional"
"Guide’s enthusiasm is infectious! 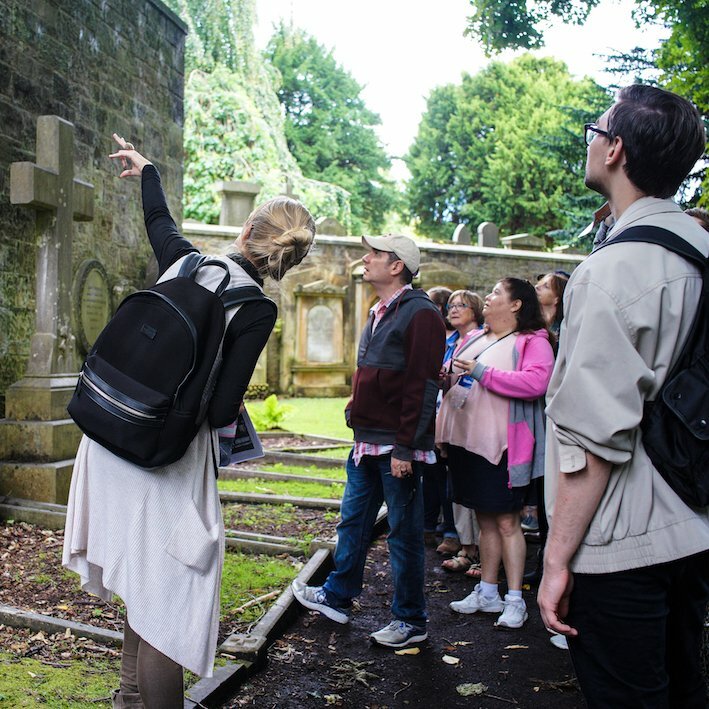 The tour has made me much more observant and given me a new appreciation of the beauty and richness of this wonderful and historic city." "Extremely informative! 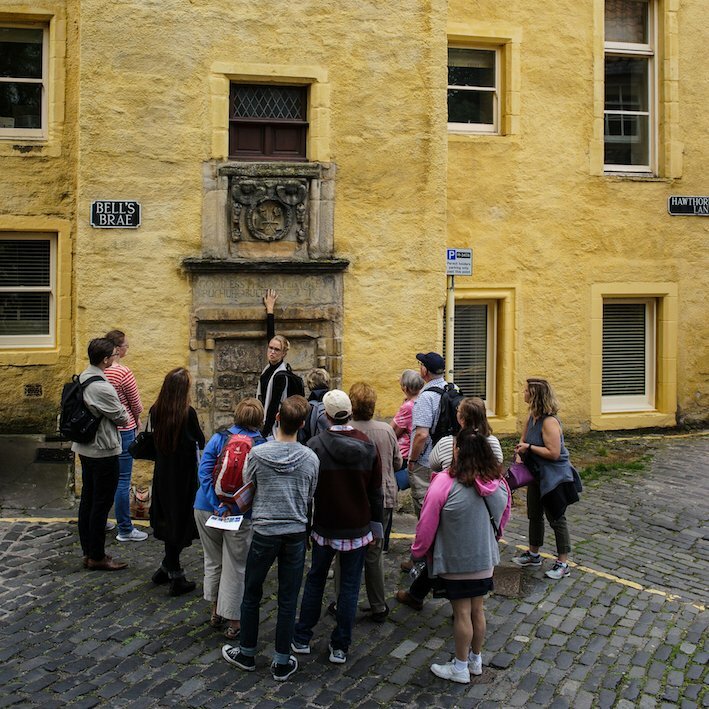 Our guide was exceptional in educating us on the architectural styles and treasures of Edinburgh. Cameron’s affable personality and ability to add such interesting anecdotal tales made for a stimulating afternoon." 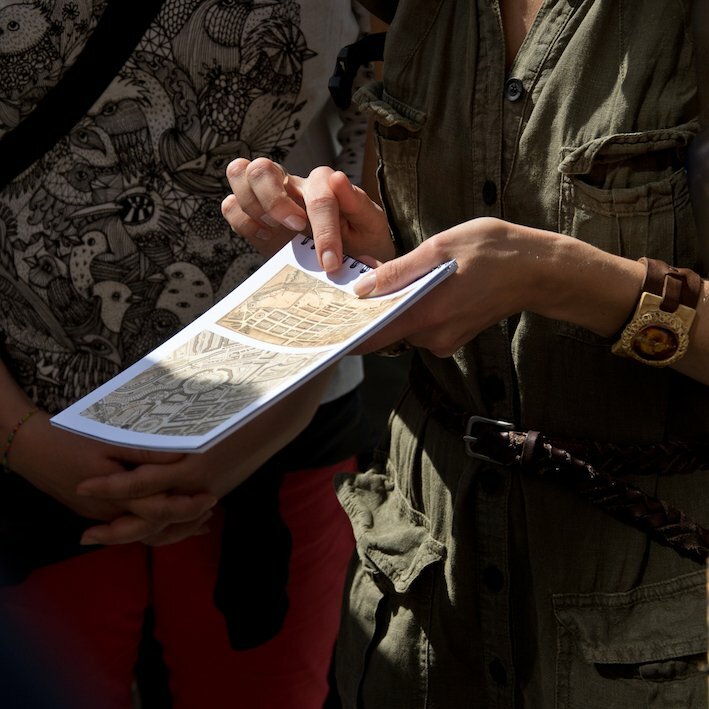 "Since the tour we have continued to note details with interest which we have walked past unknowingly for years!" "50% of people who go on the tour were locals, which is a real testament to how unique and detailed this tour is." 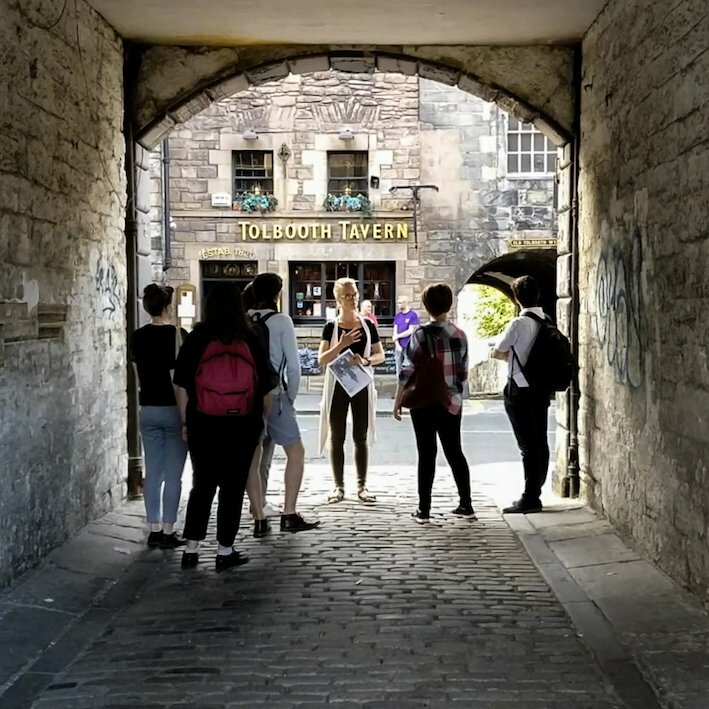 "I enjoyed seeing buildings that I had never noticed before and learning about buildings in a new way, I am now noticing more of the city and seeing other things. The tour is encouraging me to do some self-discovery too." "I have been through this area many times, but she helped me see lots of things that I had not been aware of before." "I've lived in the area for 10 years but learned more about it in 2 hours than in the previous 10 years on my own." "I am so happy to have spent those 3 hours with Cameron, able to ask all manner of questions, and enjoy how he combined the historical, cultural and ultimately arquitectural. Highly recommended." "This is hands down the best tour I have ever been on (and I have been on tours in over thirty countries). Olga was friendly, informed, and highly engaging with the information she presented." "We loved our tour of the Deane Village with Olga. She knows so much about the area and architecture and is able to present it in a fun way. She paced her talk to both our physical ability and knowledge." 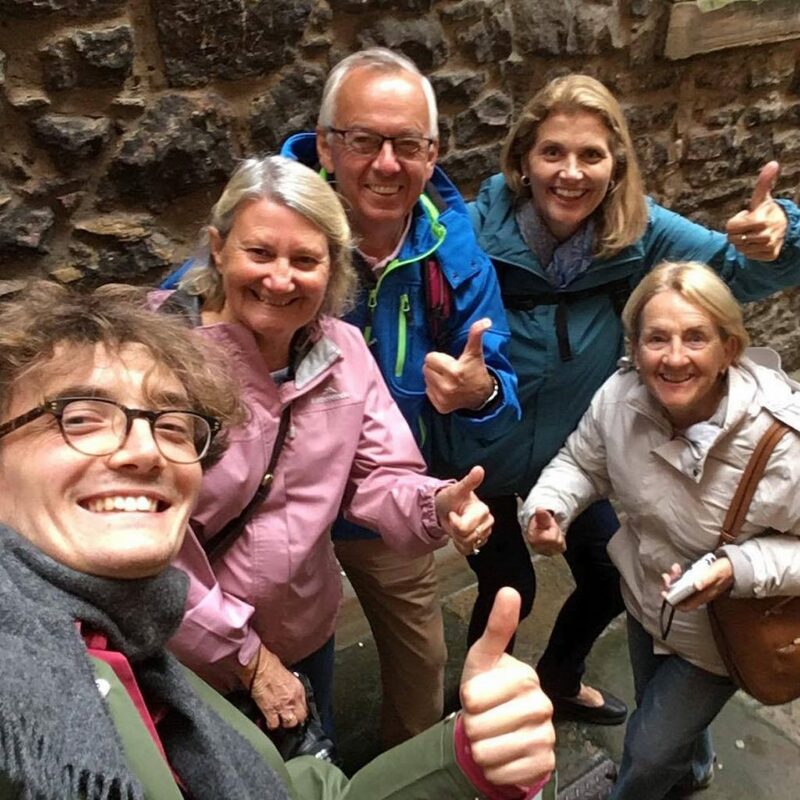 "We went to many places we were not aware of and the tour was very informative and the time just flew by, I would recommend to anyone wanting a relaxed personal tour of the Old Town." "This is quite simply the best tour available. I learned a fantastic amount about the history, geology, development and architecture of Old Town. And believe me, I asked a lot(!) of questions." "Just the five of us, no crowds. Olga blew us away with her in-depth research, and passion for the history, and people of the time. 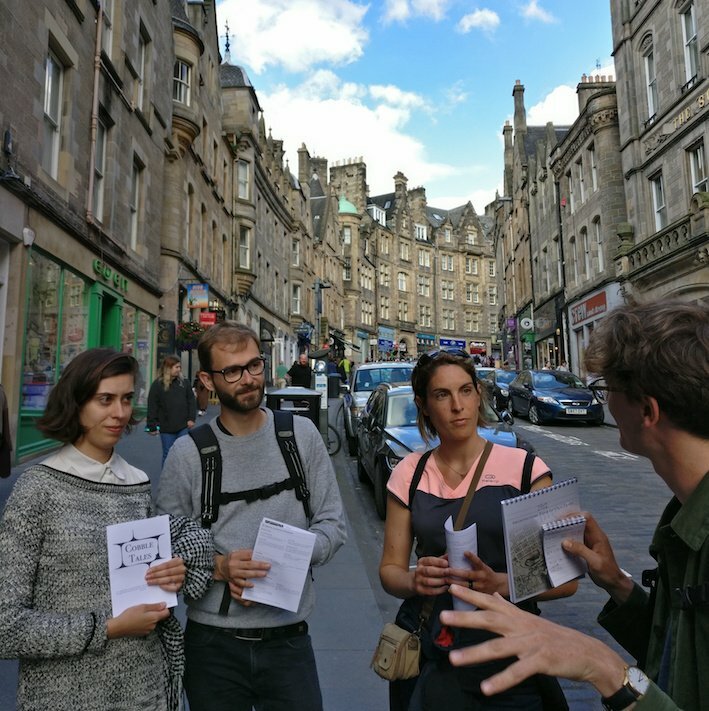 Extremely satisfied"
Choose a 2-3h walking tour and enter your code on the checkout. See you on the tour soon!